The EUR/USD currency pair is moving according to the forecast. Currently there is a possibility that the price may fall down. 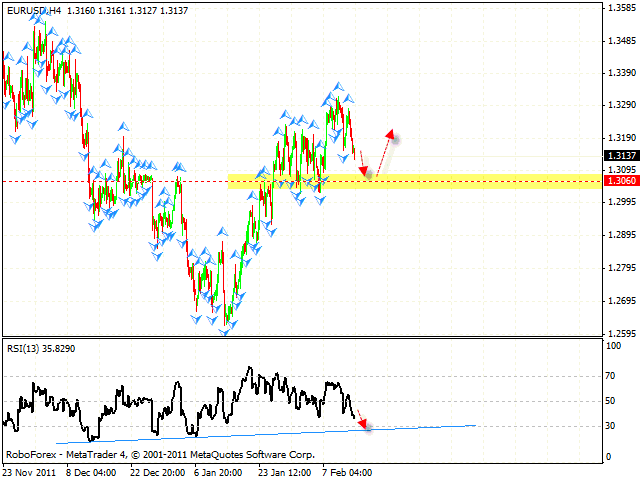 The closest target is the area of 1.3060, which is expected to be a starting point of the correction. 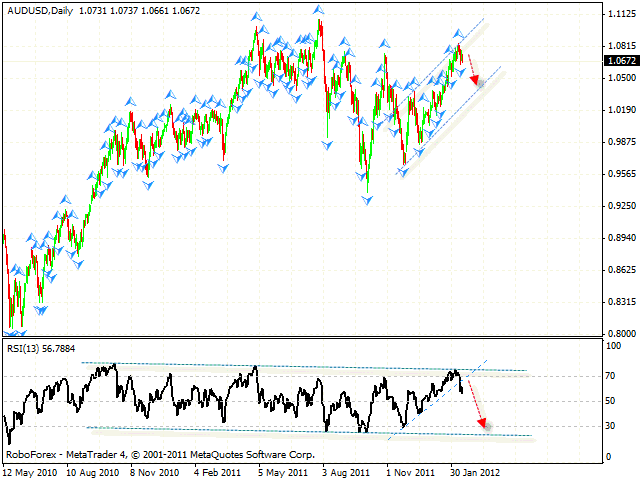 At the RSI the price may also fall down. One can consider selling the pair with the tight stop. Pound continues moving inside “head & shoulders” reversal pattern. By now the price has already broken the neckline, we should expect the GBP/USD currency pair to continue falling down to the level of 1.5527. 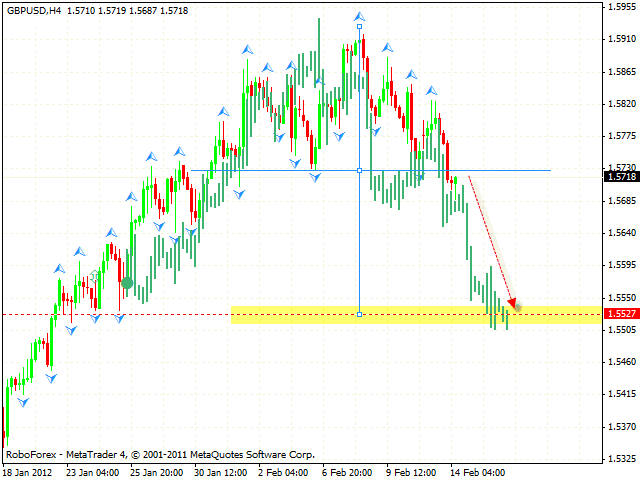 One can consider selling the pair with the tight stop placed above 1.5820. New Zealand Dollar started to move downwards, currently we should expect it to fall down to the level of 0.8075, where one can consider buying the pair. The target of the growth is the area of 0.8465. If the price leaves the channel, this case scenario will be cancelled. Australian Dollar is also being corrected. The trend’s rising line at the RSI has been broken, we should expect the price to test the rising channel’s lower border. 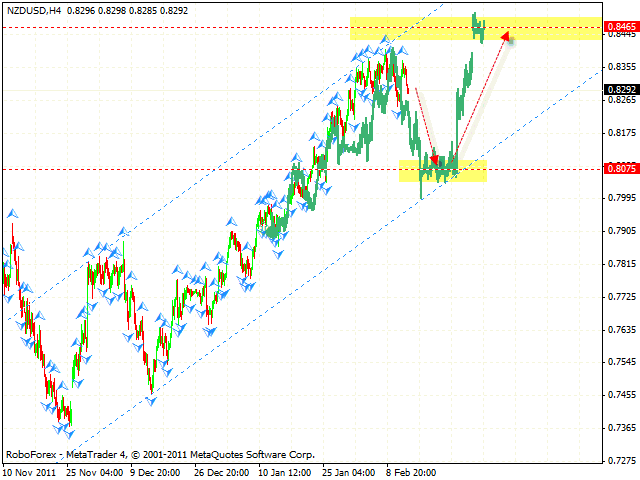 One can consider selling the AUD/USD currency pair with the tight stop. The closest target of the fall is the area of 1.0450. Judging by the RSI indicator, the price may fall down much lower.